If you have yet to receive professional care for your varicose veins then you may find yourself searching for answers on the internet, like many of us do. Thanks to the power of Google, we can search a question or term and find numerous answers — some from professionals, others from those who have dealt with the issue first-hand. When it comes to varicose veins, it is certainly a topic that numerous people, such as yourself, look to the internet to find help with dealing with the pain minimizing the appearance. For that reason, we’ve compiled the five frequently most asked questions to assist you with the initial answers you need. Q1. Will a single varicose vein treatment procedure eliminate my varicose veins? Answer: It ultimately depends on your condition. One procedure can substantially eliminate or diminish the varicose veins but since varicose veins are often caused by genetics, varicose veins may show up again. 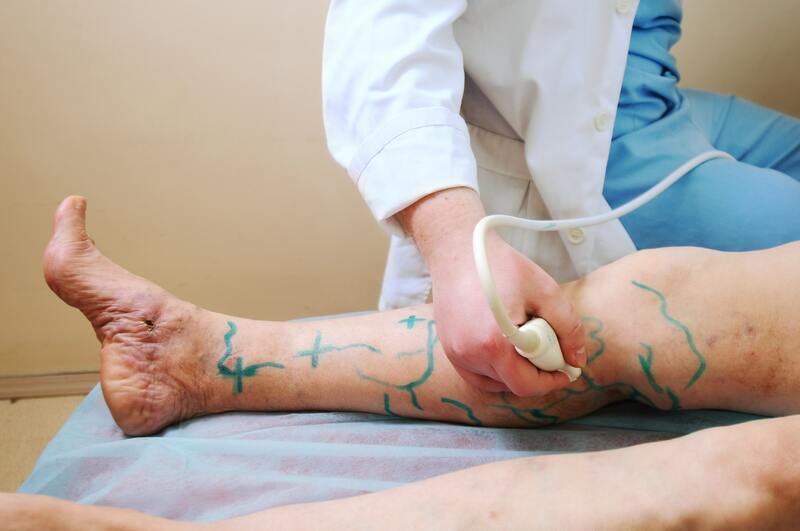 Since here at Physicians Vascular Services we use new technology, such as Endovenous Laser Treatment, we’re able to better target varicose veins compared to prior technology. Q2. Should I alternate my exercise to improve my varicose veins? Answer: When it comes to exercise, you want to be sure you’re not putting too much weight on your legs. Running on hard surfaces and lifting extra-heavy weights can overstress your veins. Instead, you should opt for activities like swimming, stationary biking, and other low-impact activities. Moreover, you want to be sure that your legs and feet are comfortable by wearing well-fitted shoes. Q3. Will my diet affect my varicose veins? Answer: What you eat does play a part in the condition of your varicose veins. Incorporating more fruits and vegetables as well as high-fiber foods has a positive effect on varicose veins. Foods high in sodium can add pressure your veins since it retains water. Additionally, too much red meat and dairy promotes constipation, which has a negative effect on your varicose veins. Q4. Will spider veins turn into varicose veins? Answer: Spider veins are often confused with varicose veins; however, the two are not the same. Spider veins occur from light swelling and appear darker than varicose veins. They are also a lot less painful. Q5. What if I don’t seek professional varicose veins care? Answer: Untreated varicose veins may result in blood clots, skin ulcers, sores, or in worse cases deep vein thrombosis (DVT). It is always best to treat varicose veins early on to avoid worse symptoms and life-altering complications that may require extensive treatment. Now that you have some initial questions answered, you should consider seeing a professional who can examine your unique condition. If you’ve put off having your varicose examined by a professional, you could face worse pain and suffering down the road. Beyond the unpleasant appearance of varicose veins, there are health risks associated with this condition. Please do not hesitate getting the help you need; contact us today.